Today, the federation announced Gerardo Martino’s first group of convocados, a group of 24 players all based in Liga MX, for the first series of mid-week training sessions. The intense mid-week training sessions that are the focus of this call-up are sessions that Martino looked to implement with the North America-based players in the mid-week sessions, dubbed “microcycles” by many, are designed to get as many players in Mexico up to speed with many aspects of how he expects his teams to play in the matches, including consistent, intense pressuring and a focus on improving the players’ problem-solving on and off the ball with extended drills (and smaller-sided games) that were a recent hallmark of his approaches with MLS franchise Atlanta United. These sessions, not aligned with any international window, have already received some controversy for the sessions that some key players train intensely away from their club teams, because of the risk that those teams lose key players. Those criticisms, voiced most strongly by Club America manager Miguel “Piojo” Herrera and Cruz Azul manager Pedro Caixinha, were not going to stop the team from approving the release of the teams’ players. Caixinha appeared wary of the mid-week training sessions, but all he mentioned in remarks captured by Ivan Canada, also for ESPN Mexico, that his function in this situation was to release players, not be convinced. Still, both sides ended up releasing players, joining the likes of Tigres UANL, Chivas, and Monterrey in releasing players for the senior national team (as well as the U-20 team). But with the federation and teams not openly rejecting the additional training sessions, it appears there is an implied admission that the structure of club football in Mexico does not provide a tough enough ecosystem for the teams at all levels to get the players (in all facets of their work), managers, directors, and owners to evolve the game to where they can play Gerardo Martino’s high-pressure, decision-based approach without the additional sessions. 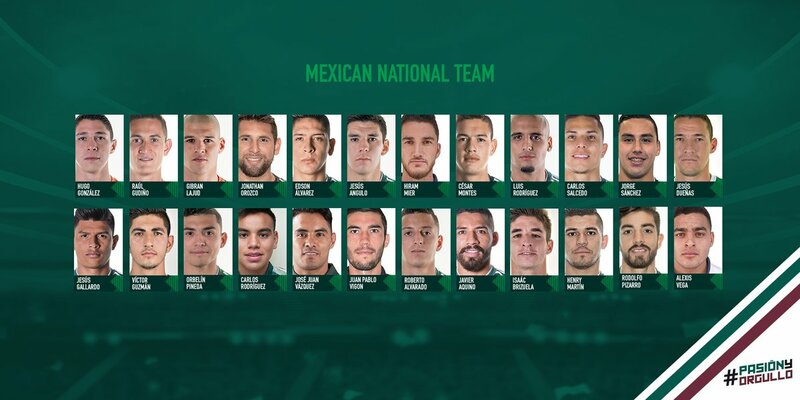 And this list gives a hint as to the new Mexico-based players Martino could blood into the national team–including Atlas attacking midfielder Juan Pablo Vigon and teenage standouts Carlos Rodriguez and Alexis Vega. Here is the full list of players called into camp.